There is currently a worldwide giveaway underway for my latest psychological thriller, Deception: A Love of Lies. With three eCopies up for grabs on the Doodles, Doodles Everywhere blog, you could be within a chance by heading over to their blog page! The worldwide giveaway ends on the 16th of December! My dark fantasy short story ‘Alive’ free for the last day! 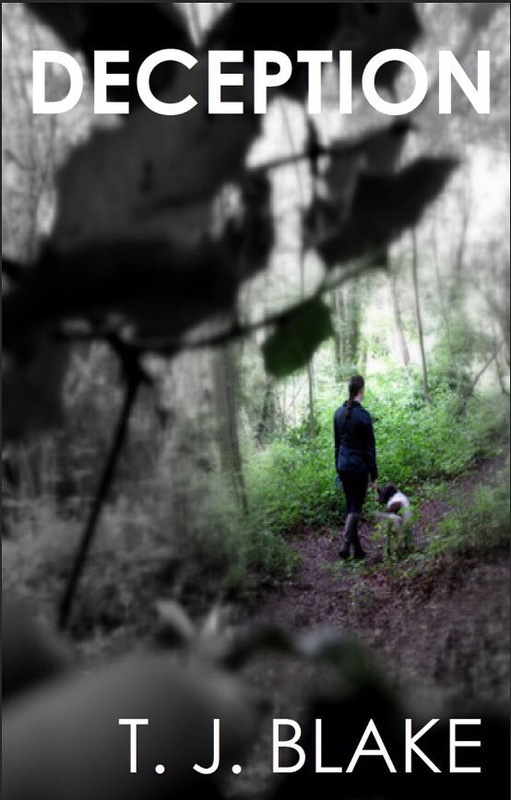 My dark fantasy short story ‘Alive’ is currently available to download from Amazon.com & UK for free, but for only today – which means you can start reading it within seconds! 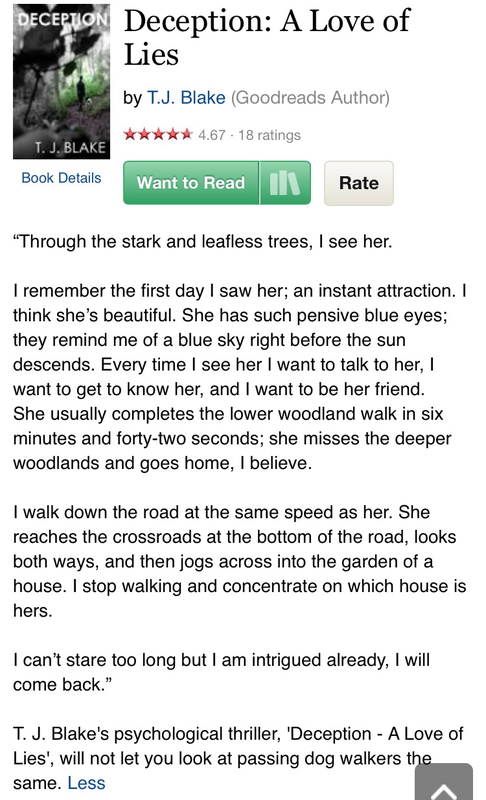 Is it worth the read? Of course! 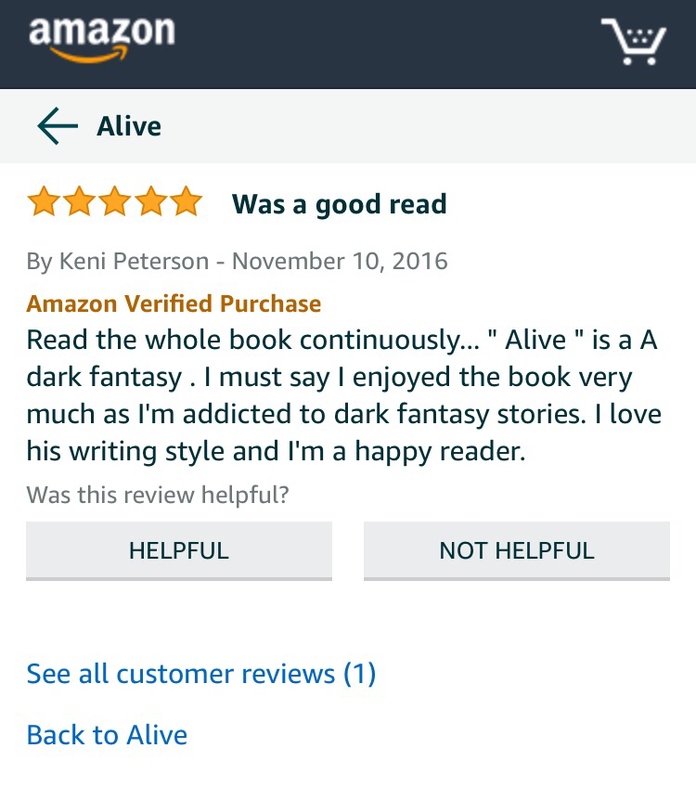 ‘Alive’ has just recently received a 5 star review! ‘Do you really know the person you love?’ Deception will certainly make you wonder! Deception is certainly getting a reaction from my readers, and I am specifically happy with the fact that the book is unpredictable and suspenseful for all readers so far. 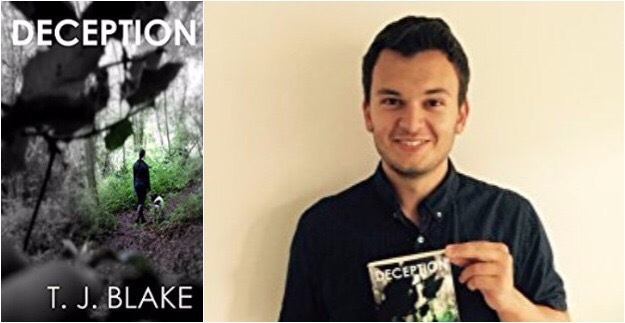 With a focus on human behaviour, Deception: A Love of Lies will draw you into the dismal yet intriguing life of Billy Allen and his Springer Spaniel, Ella, and their unusual habits. 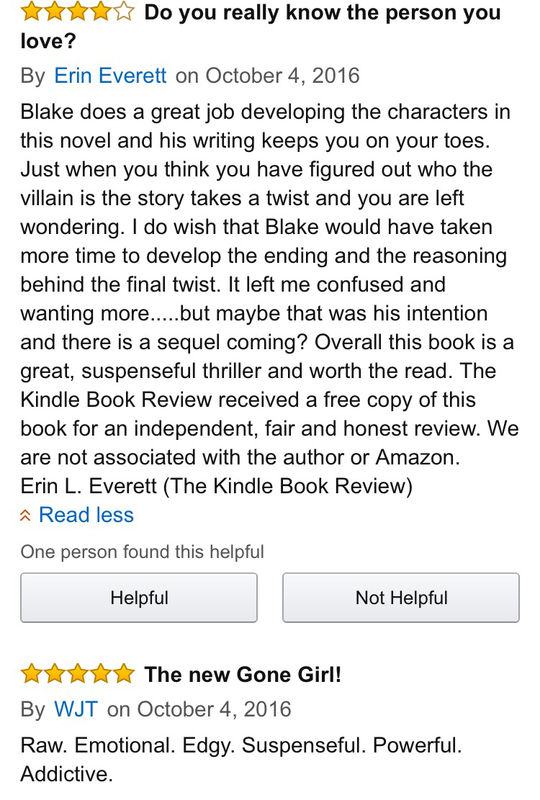 I appreciate this review, the reviewer is rightly questioning my motives in terms of the ending, but I think it’s the perfect ending for this story and any to follow. I won’t be saying anymore on the matter though, you’ll have to read my book to make your own decision on the end! 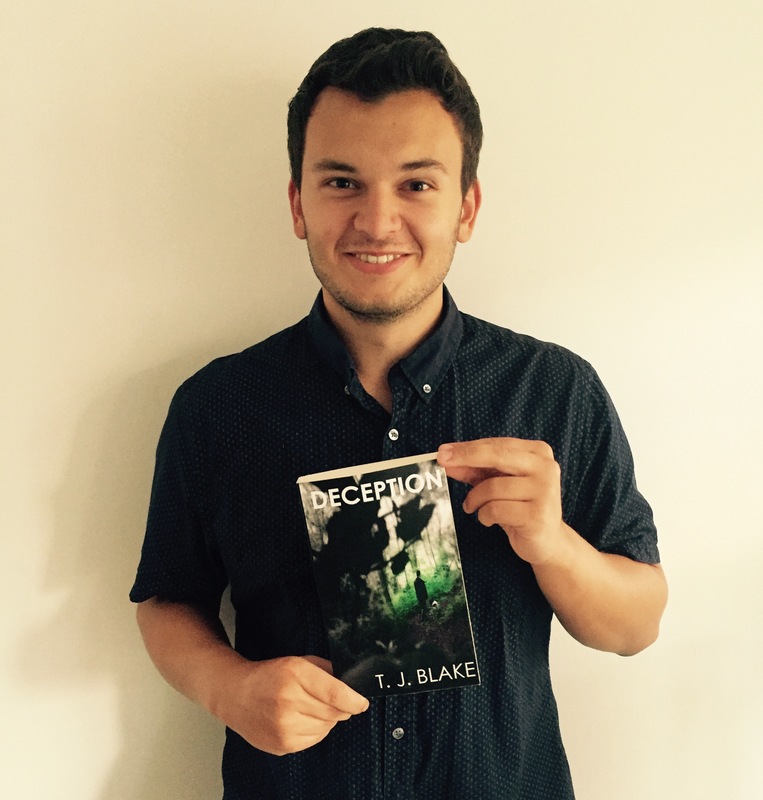 Start reading Deception tonight by downloading it onto your Kindle or reading device from Amazon or Smashwords. 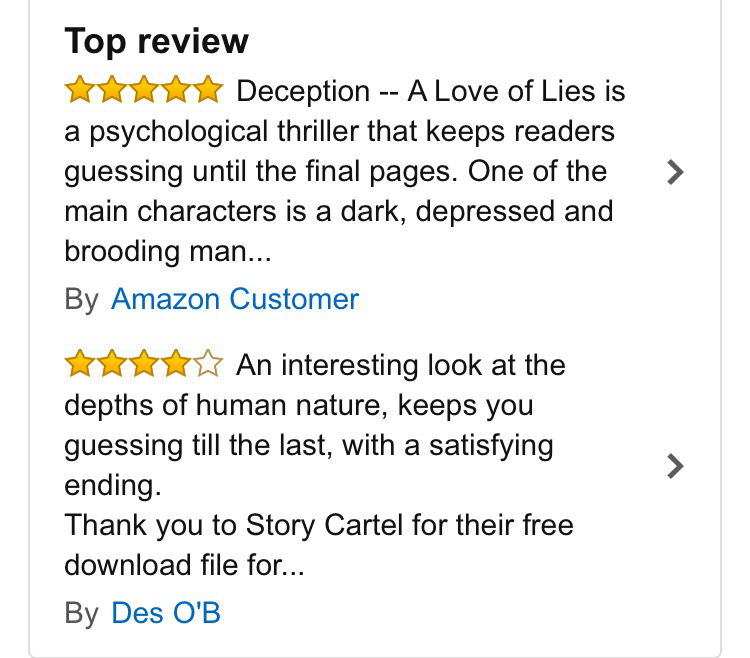 I’m very happy to say that after a brilliant 4.5 star review from Book Junkie Reviews, another review has appeared for Deception from a happy reader on Amazon.com (below). You can get your hands on Deception on Amazon, B&N and Smashwords.